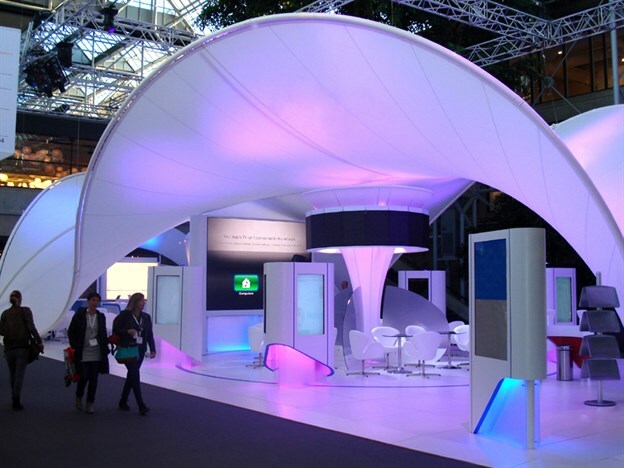 Installed in the Autumn of 2013, TensileFabric installed this impressive wave-like canopy for an exhibition in Copenhagen. 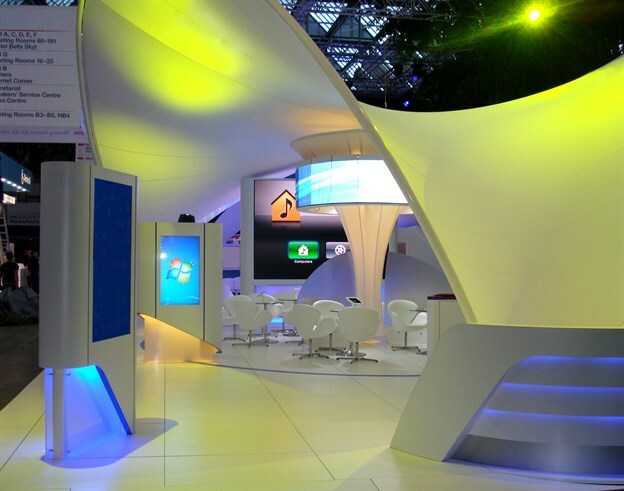 The complex structure is made up of three sections: The main canopy, forming the main enclosure of the stand, a cone feature, with supports lighting and LED displays and a curved end wall, that support for digital media - and a meeting area. At 22m x 11m, the main canopy is built around a 3D modelled steel tube frame which forms both the perimeter and multi part spine, being suspended from eleven points and floor supported in three locations. 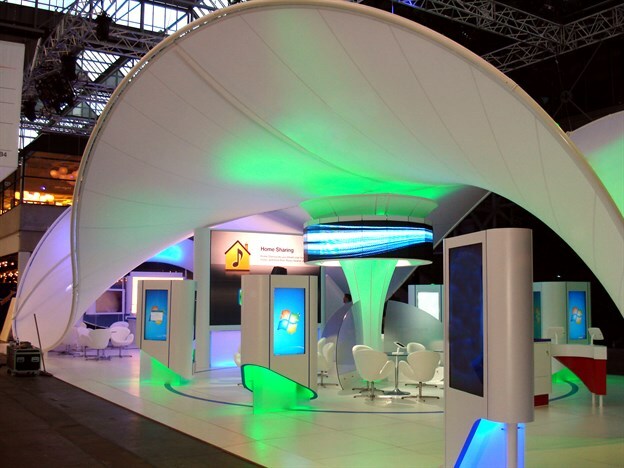 Below the main canopy, the fabric cone and its supporting inner steel frame, supports multiple LED displays and LED lighting, providing a strong central feature for the stand. The underfloor steel allows this structure to be completely free standing. 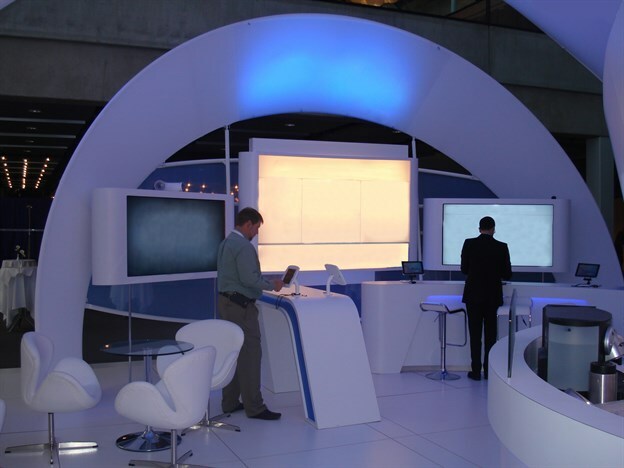 To the far end is a curved wall element, skinned in a halo of fabric and supporting three displays for client information. This element was added to the scheme 1 week before shipping. 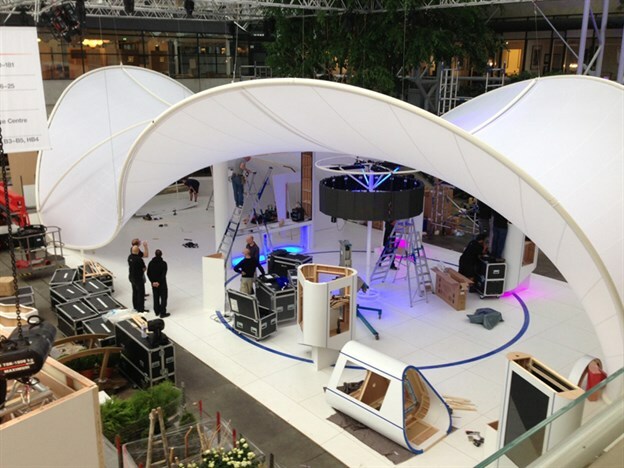 The fabric structure elements took two days to install for 4 of our experienced riggers. 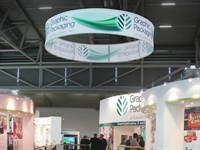 The whole structure was transported to Copenhagen occupying around 6m x 2m x 2m space within the transporting container.